Dream, Explore, Dare, our award winning den and adventure kits are the perfect gift for the young Adventurer in your life! At My Adventure Kit we welcome the bold, the bright and the inquisitive with open arms. 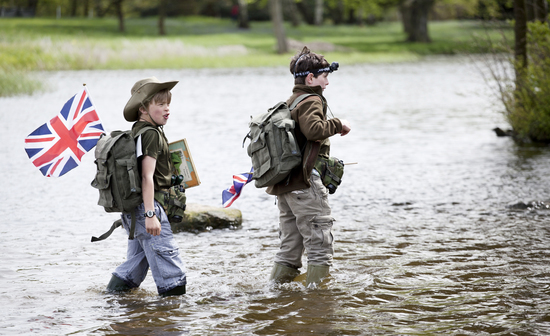 As a company we thrive on creating adventure kits that open imaginations and allow children to become self-sufficient, resourceful and confident individuals. We’re of the view that far too many children’s lives have become focused around technology, games consoles and computers. My Adventure Kit aims to reignite kids love of den making, adventure planning and maybe just a little bit of mischief! Proud parent, adoring grandparent it’s with nostalgia that many of us look back at our own childhoods. We often remember how exciting it was to go on muddy yomps, climb trees, swim in open water, gaze at the endless sky and make campfires upon which to roast marshmallows, not to mention the joy of creating a magnificent den, in which magical ideas were formed! If you’re after a gift that combines merry-making with a dash of natural, free-willed education, then My Adventure Kit is the ideal gift. Adventure and Den kits for ALL ages. Explore the great outdoors- hours of fun! "Ultimate Den Kit "We love this kit, we take it on our camping holidays and the days out" "
"Kit for Heroes - Fantastic! Great value for money and both by boys have one- hours of fun for them and a great gift. " "Glorious Girls Den Kit- This is the second girls den kit I have brought for a god daughter (aged 8) and y niece (aged 7)." "Just brilliant- they loved it ......and so did I !" 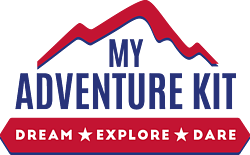 Our aim is to get your My Adventure Kit order off to you as quickly as possible usually within 3-5 days. All images and descriptive matter contained in our website or other literature are for the sole purpose of giving an approximate idea of the appearance and characteristics of the products described and should not be used or relied upon for any other purpose. The product dimensions supplied are intended to give an approximate indication of the size of individual products. The images of products may not show their actual size. If you wish to inspect a product before purchasing it, please contact us so that we can make arrangements. Copyright for the images throughout the site, remains with the original owner. By accepting our terms and conditions, you are declaring that you are aged 18 or over.